Posted on 01/30/2017 by Neal Keller	in Live Review and tagged Cold Cave, dark wave, Drab Majesty, Los Angeles, Rock and Roll Hotel, synthpop, Wesley Eisold. Cold Cave open their show Wednesday night at DC’s Rock and Roll Hotel with “Love Comes Close,” coincidentally the song that first initiated my interest in the band. For the duration of their opener, the look of the stage is appropriately understated. Posted on 12/06/2016 by Mickey McCarter	in Live Review and tagged Cold Cave, dark wave, Drab Majesty, goth, industrial, Los Angeles, new wave, Rock and Roll Hotel, synthpop. 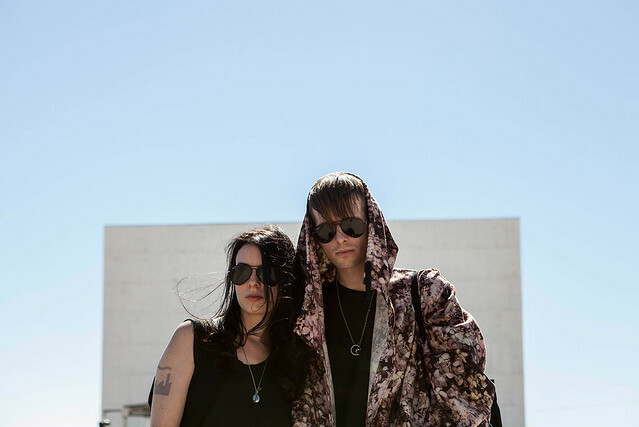 Cold Cave released a new EP, The Idea of Love, on Sept. 9 via Heartworm. The title song is a synthpop dirge that veers a little bit more into industrial territory than some of Cold Cave’s more recent offerings — although the band certainly continues to occupy that perfect space encompassing the poetry of Joy Division with the middle-period electronics of Depeche Mode. 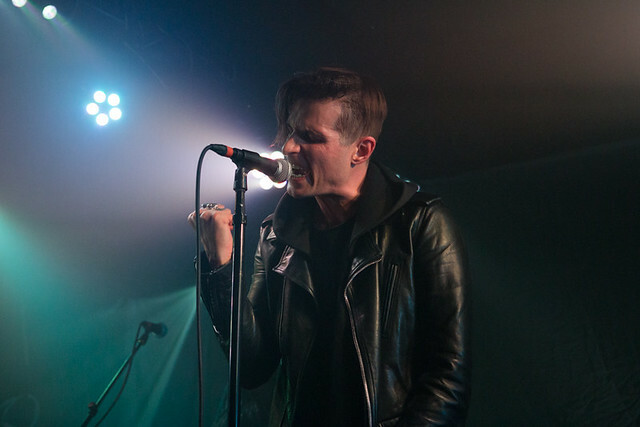 With the release of the single, Cold Cave began touring again, and the band visits the Rock and Roll Hotel in DC on Wednesday, Jan. 25, 2017. As Cold Cave, musician Wesley Eisold started out with very artful pop in 2007 and then flowered into well-defined synthpop gems with very good albums like Love Comes Close and Cherish the Light Years. He has certainly not been shy about spreading his artistic wings on his own Heartworm Press label, however! Still very much the standard-bearer for darkwave dance music, Wesley reminded us of his pop sensibilities with a very lovely cover of “Your Silent Face” by New Order earlier this year. It’s great that Cold Cave visits DC regularly, and we look forward to seeing Wesley again in January! Los Angeles goth trailblazer Drab Majesty opens for Cold Cave. Tickets are available online.